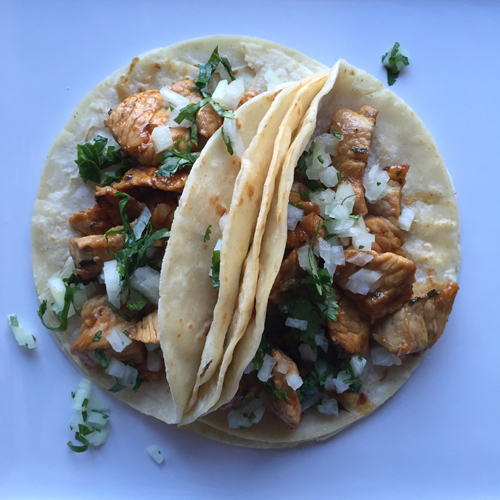 My brother introduced me to tacos al pastor, and to this recipe, last Thanksgiving. 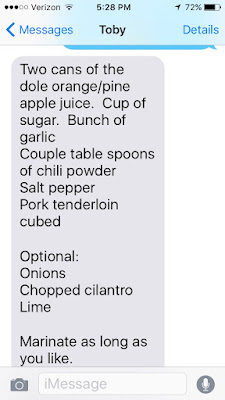 I'm not sure if this is a traditional recipe or not--googling "tacos al pastor" got me all different forms of pork. Shredded, cubed, sliced. If you've never had them before, just know that tacos al pastor are made from pork marinated in a pineapple juice based marinade. It's almost like a Mexican teriyaki--sweet and salty deliciously tender pork. So good. 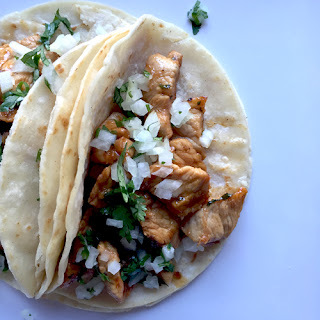 One thing I really enjoyed about how my brother prepared these tacos is that he cooked the corn tortillas in a little bit of oil rather than just heating them up. A little fat makes almost everything better, right? The cooking in a little oil makes the tortillas chewy and helps them hold up better to the fillings. These tacos are not spicy at all, but if spicy is what you're into, I'm sure you could add some minced jalapeño to the marinade. I was concerned that I wouldn't have enough time for the meat to marinate since I got back from work around 5:15, but a 20-minute soak was plenty, and I had dinner on the table by 6:15, which, if you know me, is pretty good. I'm sure you could prepare the meat in the marinade in the morning and let it sit in the fridge all day and then cook it up quickly. It's really an easy meal. I strongly recommend you try it. Soon. And that's all I have to say. Enjoy. 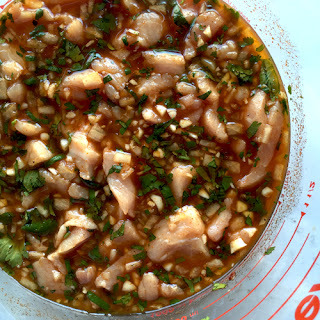 In a medium sized glass bowl, whisk all of the marinade ingredients except the meat. Add the meat and allow to marinate in the refrigerator 30 minutes to 2 hours or so. Mix the half cup of diced onion with the 2 tablespoons cilantro and squeeze of lime juice. 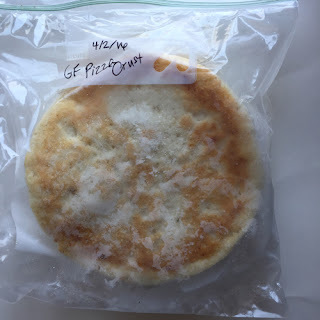 Cover and refrigerate until ready to eat. When you're ready to prepare the tacos, prepare a sheet of aluminum foil folded in half to contain the heated tortillas. Then preheat a cast iron skillet over medium heat. When skillet is hot, drizzle about 1/2 teaspoon oil over the center, and place a tortilla. 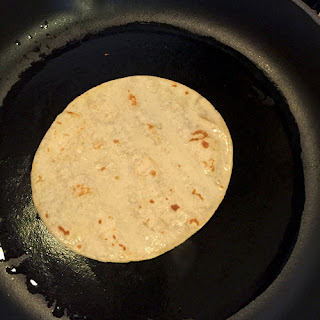 Cook tortilla for approximately 1 minute, or until bottom is starting to brown; flip and cook another minute. Remove hot browned tortilla to the foil, placing it between the layers of foil to keep it warm. Repeat with remaining tortillas. When done heating tortillas turn heat up to just above medium. Pour a little oil in the bottom of the pan (about a tablespoon). 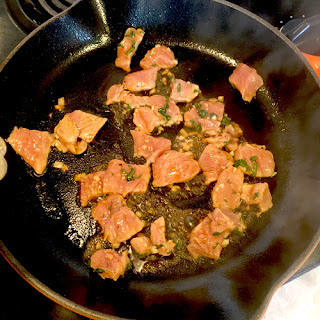 Remove meat from marinade with a slotted spoon and spread out in the bottom of the pan, taking care not to crowd the pieces of meat. You'll cook about 1/2 to 3/4 cup of meat at a time. Stir meat to cook and caramelize evenly. When meat is cooked through and caramelized on the outside, place cooked meat in a heat-proof container and cover. Continue cooking meat, wiping pan with a clean paper towel between batches. Adjust heat and add oil as needed. When meat is done, place two tortillas on your plate (yes, two--the double layer adds stability), top with about 1/2 cup cooked meat and a tablespoon or so of the cilantro/onion mixture. 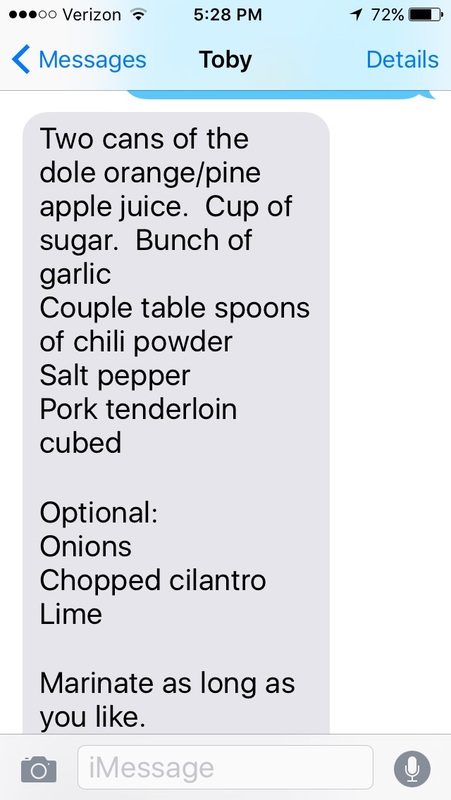 This is the recipe my brother sent. He's not an exact cook, but he's a good one. 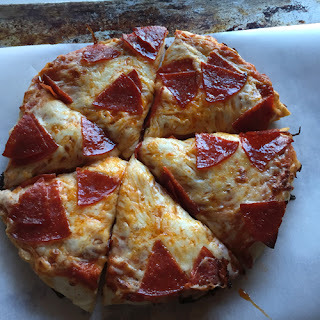 As with regular pizza around here, I get tired of making one kind of gluten free pizza crust for my gluten limited son. 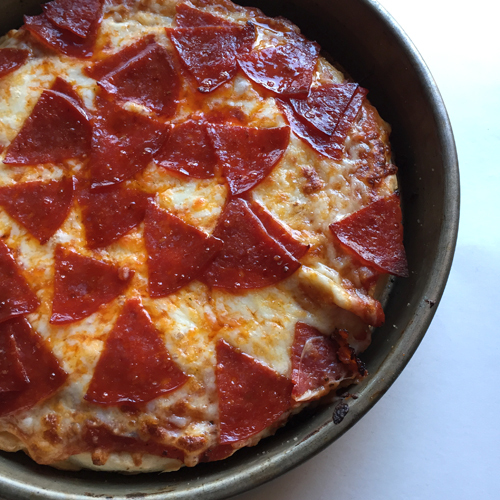 Since the kid really loved eating Pizza Hut pizza before going gluten free on his pizza, I figured that I needed to try a pan pizza for him. 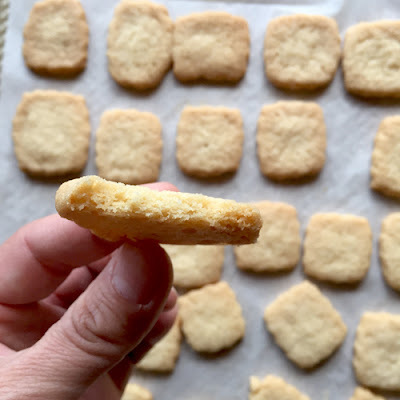 For this recipe, I just used the recipe for Gluten Free French Rolls that originated with a Gluten Free French Bread recipe on the Better Batter Flour website. I don't know that this pizza tastes like Pizza Hut, but my son said it tasted "like a slice of heaven," and "a little more crispy [than other pizza crust], but it's good." We'll see how he feels after eating the other two pizzas in the freezer. For now, though, I'm calling it a success. Deep pan pizza for my gluten limited son. Good stuff. Preheat oven to 450 to 500 degrees Fahrenheit. In the bowl of a stand mixer fitted with a paddle attachment, place the water, flour, salt, and yeast. 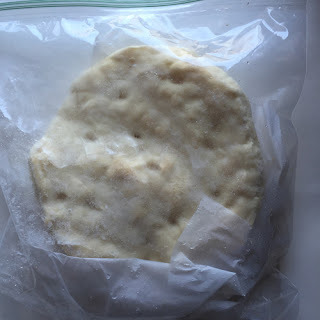 Mix on low until flour is moistened. Scrape the sides down and then turn mixer on medium to medium high for about 4 minutes. 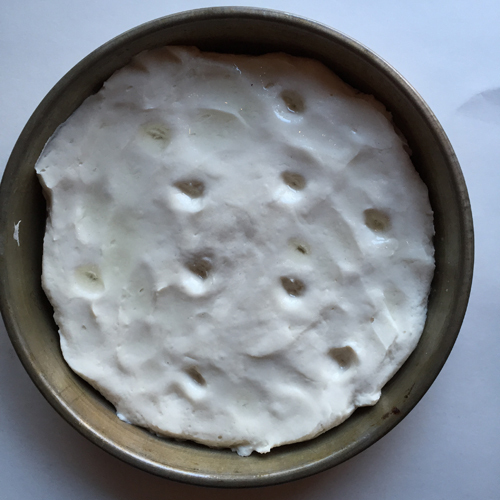 While dough/batter mixes, spray three 9-inch cake pans with nonstick cooking spray. Drizzle about a teaspoon or so of vegetable oil in the bottom of each pan and then sprinkle with a little garlic salt. When dough/batter is mixed, scoop about 1/3 of the batter into the center of each pan. 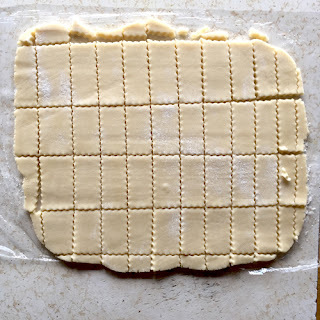 With wet fingers, spread batter to the edges of the pans, re-wetting fingers as needed to prevent sticking. Drizzle the tops with a little more oil--about 1 to 2 teaspoons each. Allow dough/batter to rise for about 40-45 minutes, uncovered. 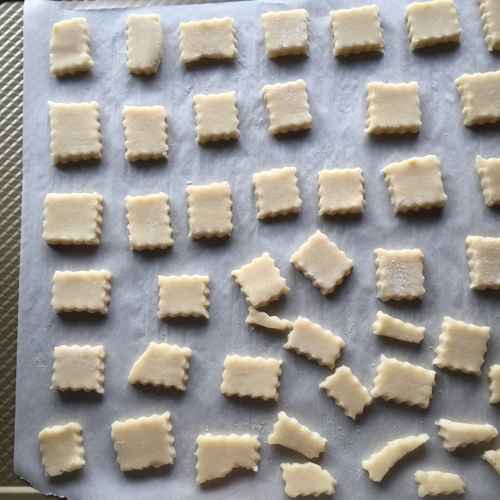 Right before baking, poke each pan of dough about 10 times with an oiled finger. 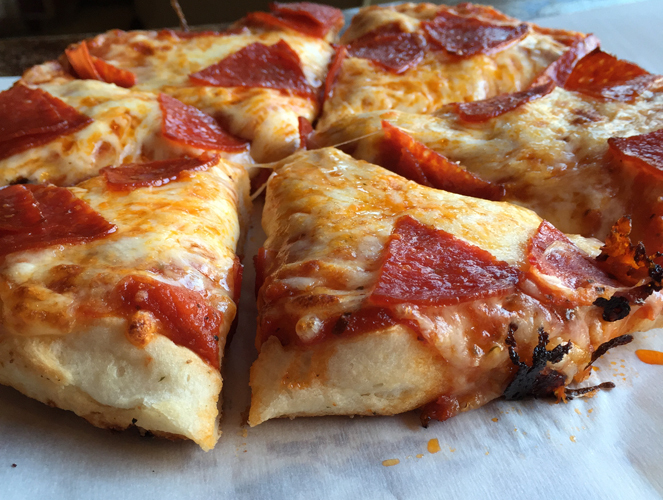 Place pans in the oven and bake for about 14-18 minutes, or until crust is puffed, set, and starting to brown on the bottom (you'll need to get a spatula or tongs to help lift the crust to get a peak at the bottom). Now you have two choices: 1. Top your pizza with your favorite toppings and place back in the hot oven until the cheese is melted and bubbly, or 2. Remove baked crusts to a wire rack to cool completely, place in zip top freezer bags when cool, and freeze until ready to use. Place on parchment or back in a pan when ready to use. 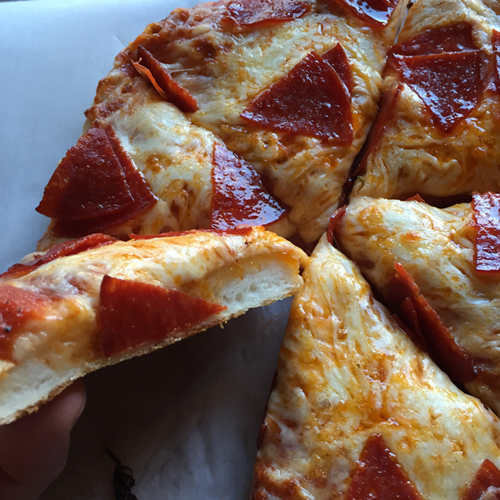 These crusts are frozen and ready for more pizza at a later date. This here is me itching my scratch for Lorna Doone shortbread cookies. I haven't had Lorna Doones in years, and something in me just refuses to buy cookies in the store. Other things, I'm fine with purchasing pre-made, but cookies I am not. I looked up copy-cat recipes and also the actual Nabisco Lorna Doone recipe, and this is what I came up with. They're not as thick as I remember Lorna Doones to be, and I think they are slightly less dense, but they are just what I was craving: crisp, buttery, well-browned, and only slightly sweet. These spread more than I'd anticipated, but the flavor makes up for their relative flatness. Maybe if I make them again I'll try something different to avoid the spread, but for now, I am satisfied. This recipe is definitely a keeper for me. In the bowl of a stand mixer fitted with a paddle attachment, place the flour, sugar, salt, and soda. Turn mixer on low to mix the dry ingredients. Add the butter and mix on low speed. Dough will look dry and sandy for a while. If it does not come together into a cohesive mass within about 1 minute, add the heavy cream and continue to mix on low until it forms a dough. 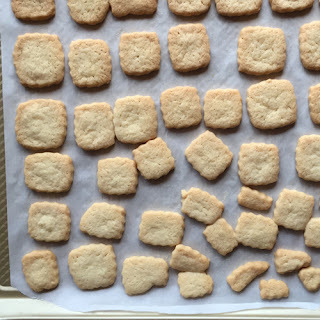 Place on prepared baking sheet about 1 1/2 to 2 inches apart. I cut them this size at first and decided they were too big. 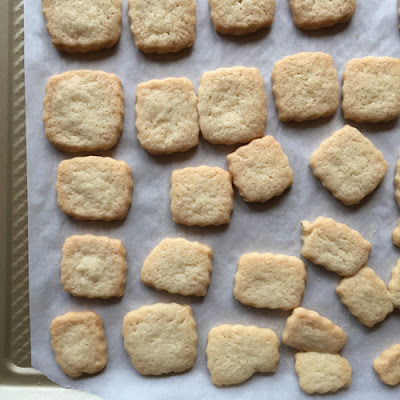 The little scraps make tasty bite-size cookies.